Physical Therapy, Occupational Therapy and Speech Therapy - Health Quest Therapy, Inc.
Health Quest Therapy is your choice for comprehensive Physical, Occupational, Speech, and Pediatric Therapy. NEW! 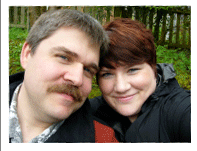 Wasilla OT Sarah Golliher Receives coveted (CHT) Certified Hand Therapist credential! 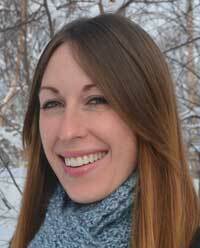 Sarah has earned her place among the elite of therapists specializing in upper extremity care. Obtaining a CHT credential is not easy, apart from a severe examination that regularly sees failure rates around 50%—a candidate is required to have a minimum of 4,000 hours of direct upper extremity experience to sit for the test. NEW! Top 5 Signs You Need Pelvic Floor Therapy! We invite you to meet with one of our experienced Physical, Occupational or Speech Therapists. If treatment is deemed necessary, we’ll provide you with recommendations that you can share with your providing physician that will address your particular needs. Just enter your name, phone number, email address, along with a brief explanation, then click Submit. A clinic representative will contact you shortly. Thank you for allowing us to be a part of your treatment. Our goal is to see all our patients return to full functional activities.